Below are the key points from the talk I gave on Pilates to look after your back and improve your posture at a GP surgery in Clevedon this week. According to Backcare, the charity for healthier backs, more than 17.3 million people in the UK currently suffer from back pain. 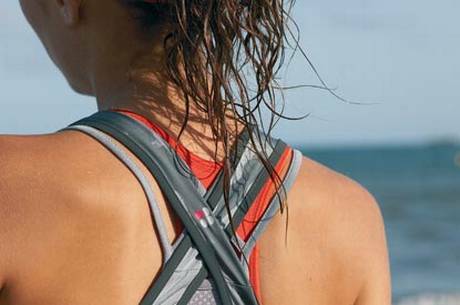 Over the course of one year 3.5 million people experience back pain for the first time. For 3.1 million people, their pain lasts throughout the whole year. No surprise then that back pain is the leading cause of sickness absence from work. Every day back pain costs the NHS £1.3m, the Government £13m in disability benefits and the UK economy £37m. ◦ overuse of muscles resulting from repetitive movements, e.g. typing, playing a sport. It may develop gradually over time as a result of poor posture or bad habits, e.g. slouching in chairs or at a desk, sleeping on a soft mattress. Sometimes it can occur suddenly for no apparent reason. Less frequently back pain is the result of a specific medical condition, e.g. sciatica, spondylitis, frozen shoulder etc. All these factors change the shape of the spine, putting undue stress on the vertebrae. Pilates is recommended to treat and avoid back pain because it is very effective at targeting and rehabilitating specific muscles whose job it is to stabilise the spine. These muscles are deep and can be hard to get to work, either because they are weak, or just not activating properly. 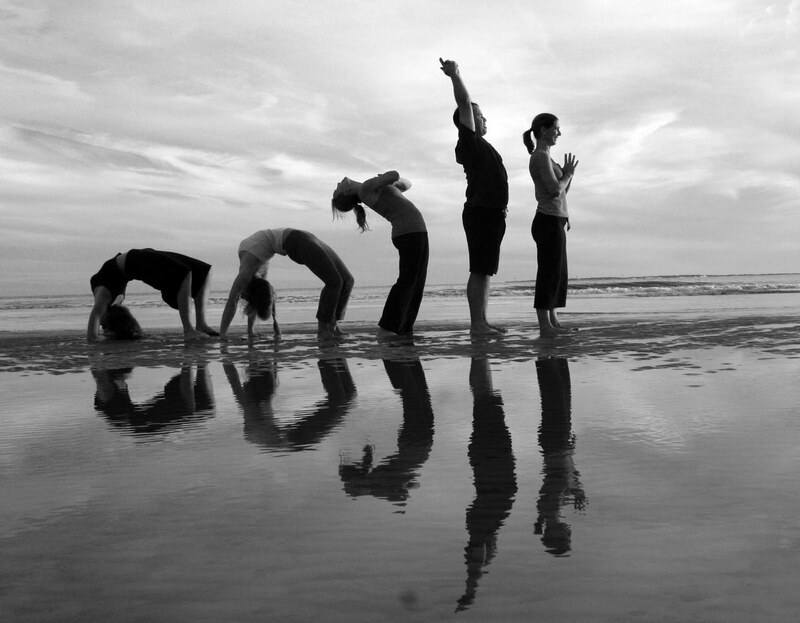 Pilates re-educates the whole body to move the way it’s designed, rebalancing the muscular and skeletal systems. This holistic approach to exercise is unique to Pilates. Pilates is considered a gentle and safe way for those suffering from back pain to resume exercise. Performing specific controlled movements in a precise way corrects imbalanced muscle tension, poor posture and alignment, by which we mean how the body parts function in relation to each other. Pilates exercises are designed to encourage the correct relationship between the spine and pelvis, spine and skull, spine and shoulder girdle. Pilates helps to activate the main muscles that stabilise the spine. The diaphragm, for example is an important stabiliser of the trunk. It works in conjunction with the deep abdominals to keep the vertebrae in alignment and working properly in relation to one another. The lateral breathing unique to Pilates facilitates the recruitment of the diaphragm and the deep abdominals. The pelvic floor engagement and the navel to spine exhale, both synonymous with Pilates are also key to activating the abdominal muscles. The neutral spine and neutral pelvis positions adopted when carrying out the exercises honour the shape of the spine, i.e. 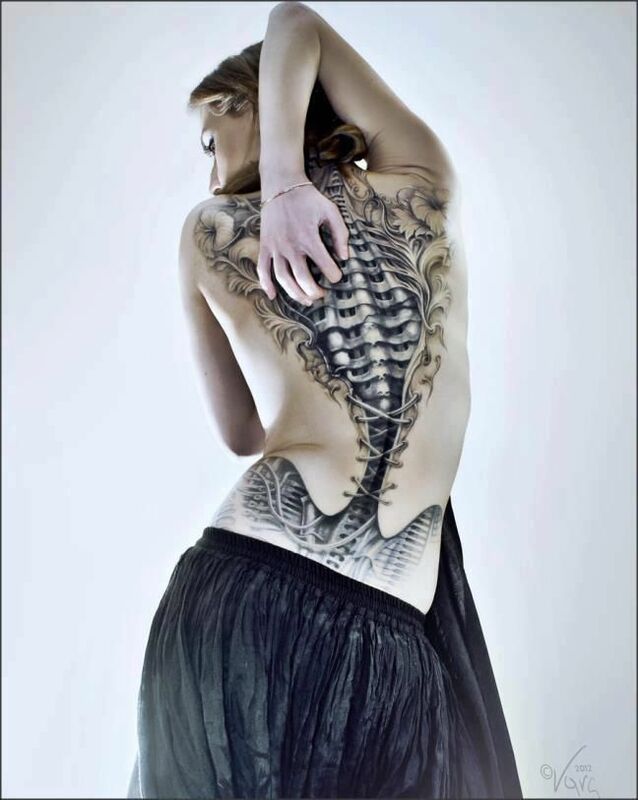 the curves, and facilitate the recruitment of the key muscles that stabilise the spine described above. Pilates encourages the sequential movement of the spine, which involves isolating each of the vertebrae in turn. Doing this builds the strength and flexibility of the muscles that hold and move the vertebrae. A Pilates teacher uses kinaesthetic cueing to help clients perform an exercise correctly. Physical touch has been found to reduce tension and pain in the body. The calm atmosphere of a Pilates class and the chance to take a break from the stresses of the outside world can be relaxing and distracting, which leads to the release of muscle tension and pain relief. 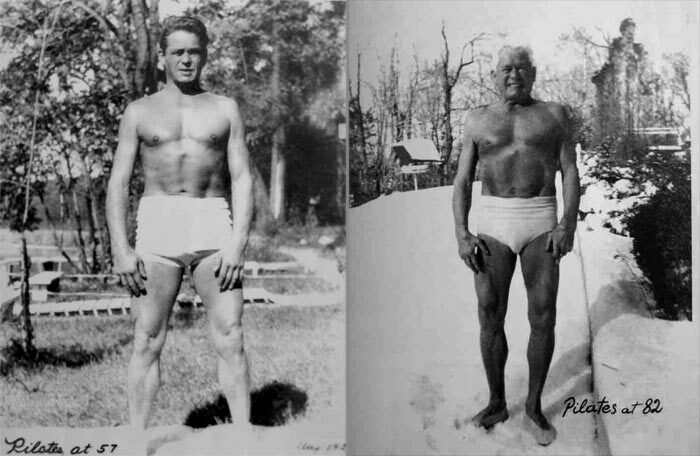 Here’s a picture of Joseph Pilates at 57 and 82. As you can see, apart from his hair turning white, there is little change in his physical condition. Sunnyside GP Surgery has kindly invited me to take part in its Patient Health Promotion Event on back care. I’ll be talking about how Pilates can help you look after your back and improve your posture. The other presenter is Nikki Parsons from Clevedon Physiotherapy and Sports Injury Clinic. We’ll each be talking for around 30 minutes then there will be an opportunity for the audience to ask questions. The talk takes place on Wednesday 26th March 2014, 7.30 to 9 pm at the surgery and is open to all patients of Sunnyside. Places are limited so please contact reception to secure a place. Contact details are available via the link. For those not registered as a patient with Sunnyside, next week after the event, I will post an article on this website with the details from my talk.